According to a report by Arrive Alive South Africa, fewer incidents occur on the roads after dark, due to the reduction of traffic flow. However, do not rest easy, as the proportion of fatal accidents increase under the cover of night. The most common factors associated with these accidents include impaired and reduced visibility, fatigue, intoxication and optical illusions. It is very easy for your eyes to play tricks on you at night. Depth perception, or rather the lack thereof, is another big culprit leading to night-time accidents. The reduction in this perception leads to impaired judgement and delayed reaction times. Night-blindness, as it is commonly referred to, is a condition that many road users suffer from without even realizing it. Luckily, there are preventative measures you can take to keep the night-time dangers to a minimum. 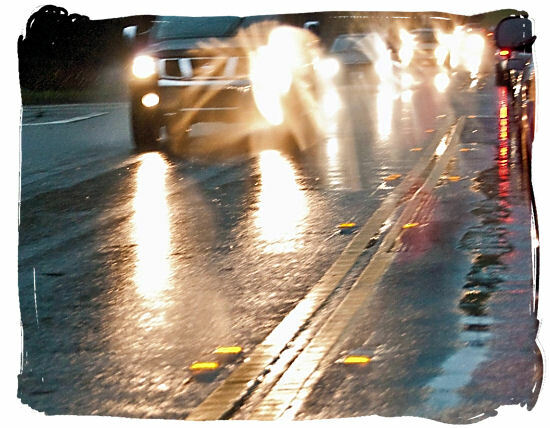 Always be aware of the fact that there might be other vehicles on the road without proper or functioning lights. Keep in mind that it takes about 30 minutes for your eyes to adjust to the dark after leaving a brightly lit place, and an hour for optimum night vision. If you find that night driving is adding extra strain on your eyes, it is best to consult an optometrist, who can provide you with glasses for this very purpose. Aside from the driver, also ensure that the car is fit for night driving. This means clean and working lights, indicators and windows. As far as possible, avoid driving excessive long distance at night. Not only are you denying your body down time, but poorly lit objects pose collision dangers. If you have to drive at night, focus your vision ever so slightly to the side of the road. Peripheral vision is less affected by poor light conditions. The same applies to glare from oncoming traffic. If you are driving with your "brights" on, be sure to dip your headlights for oncoming traffic, so as not to cause a blind crash area. Make sure the headlights are properly aimed to avoid blinding other drivers and compromising your ability to see the road. Reduce your speed at night without constricting the flow of traffic, and increase your following distance. Watch out for animals, especially on rural roads. There is truth to the "deer in headlights" expression. Don't expect the animals to scatter and run away as you approach. In case of emergency, pull of and try to stay clear of the road as far as possible. Remember to turn on your hazard lights, and set up a reflecting triangle about 300 feet behind your vehicle to warn traffic in time. Common sense is at the order of the day when driving in South Africa anywhere at night. Always keep your doors locked and your wound up almost all the way, especially when you are nearing places to stop. Be alert, and be on the lookout for suspicious activity. South Africa is not new to car-jacking. When approaching a traffic light, leave room between you and the car in front of you, so as to not get boxed in case you need to make a quick exit. As with any country, stay out of places where you don't belong. Never leave any valuables on display. Park in well-lit, busy areas. 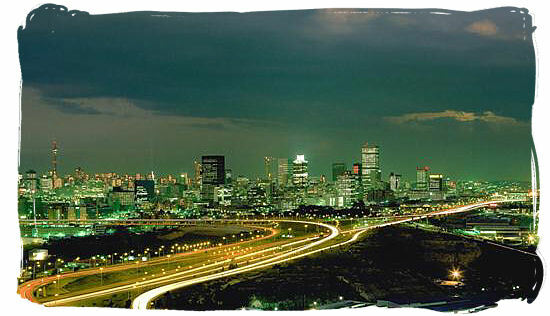 South Africa makes use of security guards in all metropolitan areas, and they will look after your car for a small tip. Thieves are very creative when it comes to stopping vehicles. Be vigilant, so if you suspect foul play or deliberate obstructions turn around and look for an alternative route.